Fr. Watts continues, “Naturally, institutional Christianity will, in its present form, continue to supply the demand which remains for a monarchical religion. But a considerable number of ministers and even congregations—not to mention millions of reasonably intelligent young people—realize that churches must “put up or shut up,” and that the chief business of religious facilities and assemblies is to provide a social milieu for religious experience. This is no mere matter of changing the externals—of having rock bands instead of organs and Kyrie eleison set to jazz, nor even of turning churches into social service centers with the idea that t*his would be practicing Christianity seven days a week instead of just talking it on Sundays. Indeed, one may well hope that monarchical Christianity will not be practiced, even on Sundays, since the dutiful spirit in which it dispenses charity breeds resentment in the giver and the receiver alike, for when the one gives with reluctance the other receives with guilt. Ministers and their congregations must instead consider what need there may be for churches as temples for contemplation and meditation, stripped of the courthouse furniture of stalls, pews, pulpits, lecterns and other equipment for throwing the Book at captive audiences. They must consider also the need for retreat houses and religious communities, and for guidance and instruction in the many forms of spiritual discipline which are conducive to mystical vision. They must further consider whether, as things now stand, they are even able to offer such services—sorely neglected as they have been in theological education. Obviously, if Christian groups cannot or will not provide mystical religion, the work will be (and is already being) done by Hindus, Buddhists, Sufis, unaffiliated gurus, and growth centers. Churchmen can no longer afford to laugh these things off as cultish vagaries for goofy and esoteric minorities—as if any intensive practice of religion had ever, anywhere at any time, been of interest to the majority of people. Again… Watts, Alan W.
I desire very humbly to suggest with bishops assembled at Lambeth that the greatest and most necessary work they could do at the present time for the spiritual renewal of the Anglican Church would be to call the clergy as a whole, solemnly and insistently to a greater interiority and cultivation of the personal life of prayer. This was the original aim of the founders of the Jerusalem Chamber Fellowship, of whom I am one. We were convinced that the real failures, difficulties and weaknesses of the Church are spiritual and can only be remedied by spiritual effort and sacrifice, and that her deepest need is a renewal, first in the clergy and through them in the laity; of the great Christian tradition of the inner life. The Church wants not more consecrated philanthropists, but a disciplined priesthood of theocentric souls who shall be tools and channels of the Spirit of God: and this she cannot have until Communion with God is recognized as the first duty of the priest. But under modern conditions this is so difficult that unless our fathers in God solemnly require it of us, the necessary efforts and readjustments will not be made. With the development of that which is now called “The Way of Renewal” more and more emphasis has been placed on the nurture and improvement of the intellect, less and less, on that of the soul. I do not underrate the importance of the intellectual side of religion. But all who do personal religious work know that the real hunger among the laity is not for halting attempts to reconcile theology and physical science, but for the deep things of the Spirit. We look to the Church to give us an experience of God, mystery, holiness and prayer which, though it may not solve the antinomies of the natural world, shall lift us to contact with the supernatural world and minister eternal life. We look to the clergy to help and direct our spiritual growth. We are seldom satisfied because with a few noble exceptions they are so lacking in spiritual realism, so ignorant of the laws and experiences of the life of prayer. Their Christianity as a whole is humanitarian rather than theocentric. So their dealings with souls are often vague and amateurish. Those needing spiritual help may find much kindliness, but seldom that firm touch of firsthand knowledge of interior ways which comes only from a disciplined personal life of prayer. In public worship they often fail to evoke the spirit of adoration because they do not possess it themselves. Hence the dreary character of many church services and the result in the increasing alienation of the laity from institutional forms. God is the interesting thing about religion, and people are hungry for God. But only a priest whose life is soaked in prayer, sacrifice, and love can, by his own spirit of adoring worship, help us to apprehend Him. We ask the bishops . . . to declare to the Church and especially its ministers that the future of organized Christianity hinges not on the triumph of this or that type of churchman’s theology or doctrine, but on the interior spirit of poverty, chastity and obedience of the ordained. However difficult and apparently unrewarding, care for the interior spirit is the first duty of every priest. Divine renewal can only come through those whose roots are in the world of prayer. THE TWO things that the laity want from the priesthood are spiritual realism and genuine love of souls. It is by these that all Christian successes have been won in the past and it is to these that men always respond. We instantly recognize those services and sermons that are the outward expression of the priest’s interior adherence to God and the selfless love of souls. These always give us a religious experience. 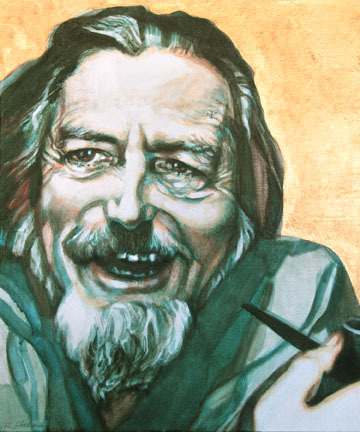 On the other hand, every perfunctory service, every cold and slovenly celebration (for these are more frequent than the bishops realize because when they are present, everything is at its best), is a lost opportunity which discredits corporate worship and again reflects back to the poor and shallow quality of the Priest’s inner life… It is perhaps worthwhile to recall the humbling fact that recent notable secessions to the Roman Catholic communion have been caused by declaration by a felt need of the supernatural which the Church of England failed to satisfy, while the astonishing success of the Oxford Group Movement among young people of the educated class witnesses to the widespread desire for an experience of God unmet by the ordinary ministrations of the Church. History shows that these quasi-mystical movements among the laity do not flourish where the invisible side of institutional religion is vigorously maintained. 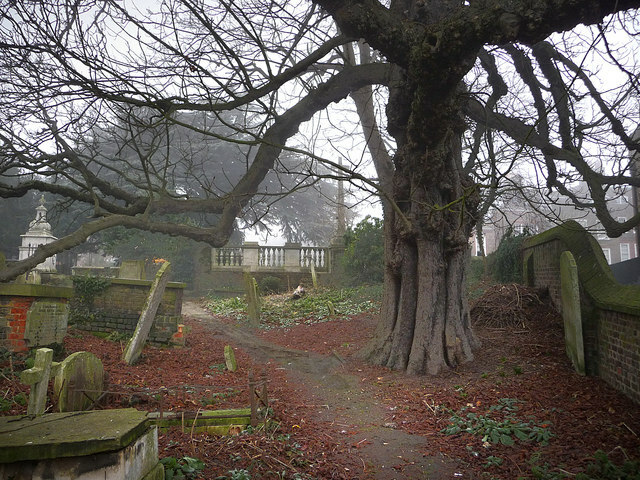 Churchyard of Saint John at Hampstead where Evelyn and her husband are buried. I know that recovering the ordered interior life of prayer and meditation will be very difficult for clergy immersed increasingly in routine work. It will mean for many a complete rearrangement of values and a reduction of social activities. They will not do it unless they are made to feel its crucial importance. This will not be achieved through “schools of prayer” which stimulate the mind rather than the spirit. But the solemn voice of the united episcopate, recalling the Church to that personal, realistic contact with the Supernatural which has been since Pentecost the one source of her power, will give authoritative support to those who already feel the need of a deeper spirituality and will remind the others that the renewal of a spiritual society must depend on giving absolute priority to the spiritual life. 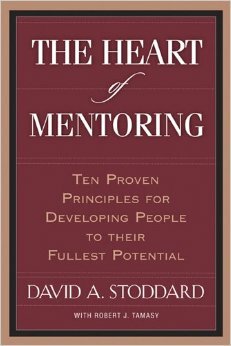 I venture to put before the conference the following practical recommendations: (1) Education of Ordinands— That the bishops shall emphasize the need and importance of a far more thorough, varied, interesting and expert devotional training in our theological colleges which, with a few striking exceptions, seem to me to give insufficient attention to this vital part of their work. 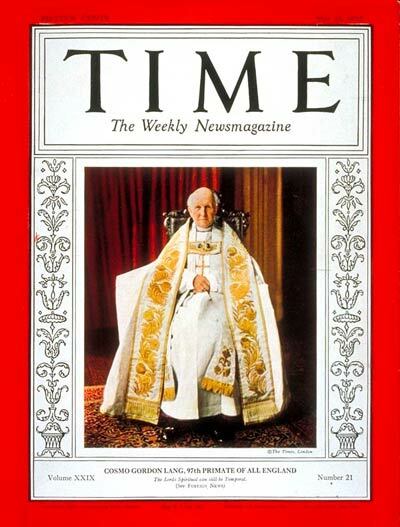 (2) The Clergy— That they should call upon every ordained clergyman, as an essential part of his pastoral duty and not merely for his own sake: (a) To adopt a rule of life which shall include a fixed daily period of prayer and reading of a type that feeds, pacifies and expands his soul, and deepens his communion with God; b) To make an annual retreat; (c) To use every endeavour to make his church into a real home of prayer and teach his people, both by exhortation and example so to use it. This entry was posted in Anglican, Celtic, Christ, Ethics, Jesus, Mysticism and tagged Alan Watts, Ancient Christian Art, Anglican, Anglicanism, Archbishop of Canterbury, Book of Common Prayer, Celtic, Christ, Christian, Christianity, Collect, Cosmo Lang, Cure of souls, cure of souls, David Brown, David Fuller, David Stoddard, Ethics, Evanston Ill, Evelyn Underhill, Experience, Formation, ideology fundamentalism, Jerusalem Chamber Fellowship, Jesus, Lambeth Conference, Lambeth Palace, Mentor, Mystic, Mystical, Mystical Religion, Mysticism, Newsweek September 2005, Northwestern University, Sacraments, Saint John in Hampstead, Spiritual direction, Spirituality in American, Westminster Abbey by shepsewell. Bookmark the permalink. 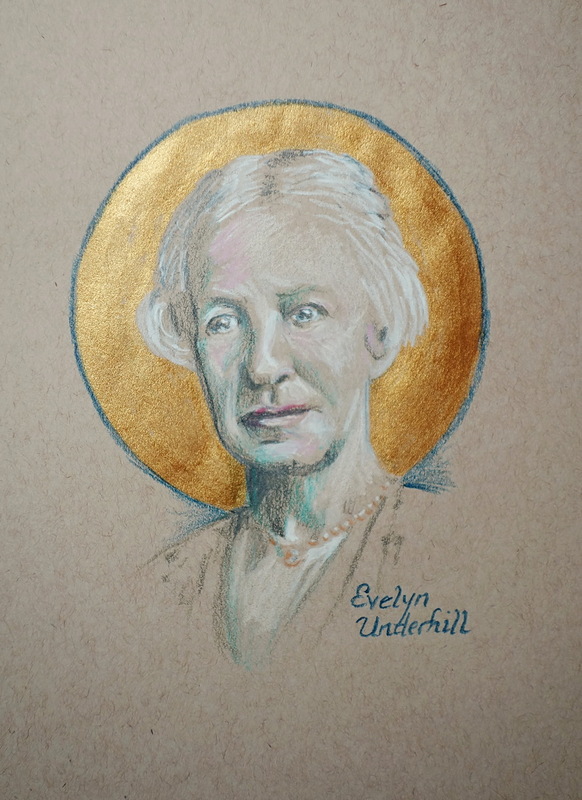 Of all Evelyn Underhill’s marvelous works, the one that most affected.me was Concerning the Inner Life, a series of talks given to clergy, which I read in seminary 31 years ago. I am fascinated by Underhill’s exhortation to the Archbishop. Would that all our lay people of prayer and deep devotion would speak out in support of prayer and the Church as a sign and a means of abiding in Christ, as he in us. It is difficult as a parish priest to maintain the disciplined life of prayer, and to help the people experience the glory of God through corporate prayer, but this is a large part of what we are called to do. I have been blessed by the devotion of our bishop, John Bauerschmidt (Tennessee), to supporting the life of prayer through an annual silent clergy retreat, which I find to be tremendously enriching and a great healing experience. Should the date for the year in which 10,000 churches closed be 1913? Joe, unfortunately it was 2013.